Anatomy.tv, the Primal Pictures 3D anatomy model, was built using real scan data from the visible human project, has been carefully segmented to create an unparalleled level of detail and accuracy. All of the content within this program has been verified by qualified anatomists and by a team of external experts for each body area. 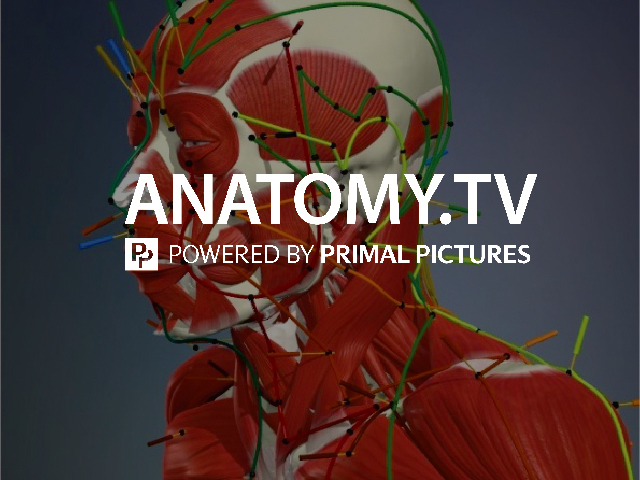 Primal Pictures Inc., the makers of Anatomy.tv, is owned and operated by Informa plc. With over 50 titles, this package covers a full range of intuitive and accurate 3D anatomy, functional anatomy, clinical and specialty titles, which is ideal for a huge range of medical and health science courses. Human Anatomy Package (3D Atlas of Human Anatomy, 3D Real-time Human Anatomy, and 3D Human Functional Anatomy) with the added bonus of our 3D Human Anatomy & Physiology title will provide your institution with a greater insight with content equivalent to the major anatomy and physiology textbooks and adheres to Human Anatomy and Physiology Society guidelines. This package includes Functional Anatomy, Sports Injuries, Exercise, Resistance Training, Pilates, Hand Therapy, Acupuncture and Anatomy Trains, providing you with everything you need to teach, learn and practice sports and therapy anatomy. This package includes 3D Human Anatomy & Physiology for Audiology, 3D Human Anatomy for Speech Language Pathology, 3D Human Head and Neck Anatomy with Special Senses and Basic Neuroanatomy and the 3D Atlas of Human Anatomy Head and Neck modules. This interactive 3D atlas and clinical reference is the perfect learning and teaching resource for communication disorder educators and students. Primal Pictures has partnered with Med Insight LT, a leading learning technology company applying cutting-edge research in cognitive science to achieve breakthroughs in computer-based learning, to introduce Primal PALMs. Modules of Anatomy Learning and Assessment are powered by patented technology that reinforces comprehension and understanding of essential anatomy concepts mastered by using Primal’s market-leading 3D anatomy solutions. 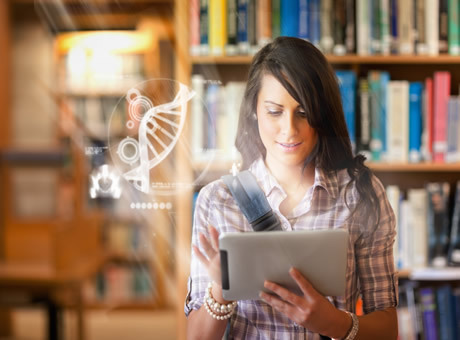 These learning modules are based on Med Insight LT’s Perceptual and Adaptive Learning Modules™ (PALMs) which adapts to the individual learner, accelerating pattern recognition, so students and staff can quickly master both facts and interpretations of clinically-relevant material. Requirements are different for each module, these are the minimums. For iPAD: All Real Time products require at least a 3rd generation iPAD, but iPAD Air or better is recommended. Whole body is not available. For Android: All Real Time products run apart from Whole body. Will also work on Windows 8 and Vista. *Please note that the Unity Player provides excellent performance of the product. Accessible and Optimized HTML 5 Android Tablet Devices via Anatomy TV - Chrome 64 Bit Version - Primal's recommendation! Accessible and optimized on all iPad devices. Primal recommends Safari on iPad. Please take a moment to check out this brief overview of "Primal Pictures"
Why do I see black boxes instead of images? If you can access Anatomy.tv but only see a black box where and image or video should be, then you are probably connecting through a proxy server. We will need to collect some information from you in order to register your proxy server with Primal Inc. Once your proxy is registered then you will be able to see all graphics. Please contact support for help with this issue. What are the EZ Proxy settings for Anatomy.tv? How do I fix: Internet Explorer has encountered a problem and needs to close? Machine(s) on which the users are facing problems are locked down, and do not have permissions to install ActiveX controls or allow cookies from Primals website. Primals site uses Apple QuickTime and Microsoft Windows Media Player Plug-in for playing movies and the site checks for it when the product is launched. Click here for more help on ActiveX controls. How you use Anatomy.tv will depend upon the Module(s) you have available to you. Most Modules have a Help & About section. Please refer to that section as well as view a video for your module if available, download a handout or refer to a user guide for the module you have questions about. How do I save images to a hard drive? Click the image and then click the "Save Image" button. The image will save and download as a .png file that can be used in PowerPoint™ and Word™ etc. How do I export video clips or animations from www.anatomy.tv? In some modules, movies can be saved. Once the button is clicked your item will automatically download. How do I create & save a URL to a specific section in Anatomy.tv? This feature is not supported through TDS Health at this time. A URL created in Anatomy.tv will go directly to Anatomy.tv by-passing authentication from STAT!Ref. A URL may appear to work for a time but after approximately 24 hours it will cease to work and will prompt a user for an Anatomy.tv user name and password. STAT!Ref authenticated users do not have an Anatomy.tv user name & password. To get back into Anatomy.tv the user needs to go through STAT!Ref. I am quite pleased to comment on the StatRef and AnatomyTV [Primal Pictures] products. We have a diploma school of nursing as part of our health system. These two products are used heavily by our students. Also, staff nurses and others are using these products. Ali Abbass is a great rep, easy to contact and work with. There have been no problems here with access or down time. In the first month, the StatRef book on fluids and electrolytes had 78 hits. This was before some orientations were even complete. I certainly hope to add to our StatRef products for our next budget year. Anatomy.tv is a great tool for our dental hygiene students to study head and neck anatomy. It is especially useful for our online students who don't have the benefit of visual learning in the onsite classroom setting. Head and neck anatomy – bones, muscles, nerves, arteries, etc are tough to visualize and this tool definitely aids the visual learner. I like the layering capability to allow students to study and review selected areas and then 'put it all together' for an overall impression. Another good piece of teaching technology to place in our toolkit. Thanks! You will not find a comparable degree of versatility, depth, richness of content or pure good looks. Really exciting - haven't had this kind of interactive fun since playing "Operation" as a kid. I could see this as useful aid in student presentations, called my co-workers in to try it out as well and everyone including sonographer, mammo tech, OB/GYN, and LPN studying to become RN loved it.